Description: FREE SHIPPING to CONUS! DEEP DISCOUNT!!! Not a "blem". 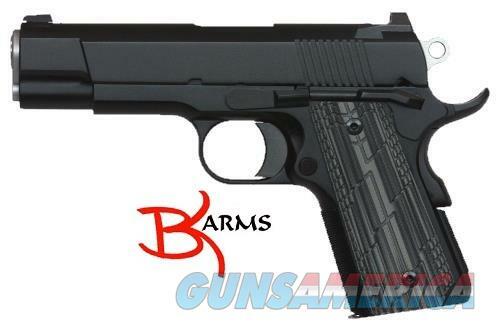 CZ 01966 PRODUCT DETAILS: FAMILY:1911 Style Pistol Series. MODEL:Dan Wesson Valkyrie. TYPE:Semi-Auto Pistol. ACTION:Single Action. FINISH:Matte Black Duty Finish. STOCK/FRAME:Alloy Frame. STOCK/GRIPS:Slim-line G-10. WEIGHT:1.62 lbs. CALIBER/GAUGE:45 ACP. CAPACITY:7+1. BARREL:4.25". OVERALL LENGTH:8". SIGHTS:Tritium Night Sights/Tact Rear. SAFETY:Manual Thumb & Grip Safety. ADDL INFO:Ed Brown Parts, Officer Frame Commander Slide, Match Stainless Barrel. New firearms come with full manufacturers warranty.